Heroics is not his thing. Parnell Stillman is an ace pilot and man to the bone. The kind of man who keeps every motorized piece of equipment he owns in pristine condition--but his socks don't match. Flying is his high road until one sleet-filled morning--it isn’t. Mischance forces his plane down in a frozen wilderness. He can survive, but his live cargo is another matter--an annoying social worker and five orphans--the most irksome freight he has ever hauled in his career. 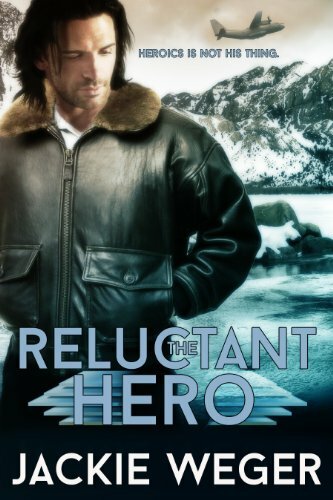 Rebecca Hollis is determined to force the disagreeable, lackadaisical pilot to do whatever is necessary to insure the survival and rescue of the orphans… Even if it means making the noble gesture of keeping her mouth shut. But the pilot isn’t having it. No way. No how. No time. He’d rather dance with a grizzly or wrestle a puma than succumb to a wily do-gooder’s shenanigans. Rebecca Hollis has other ideas to ensure the rescue of the orphans—lots of them, all artful and disingenuous—one of which is bound to work… Or maybe not.